Turn on the news for even just a few seconds and it is hard to deny that we are living in perilous times. Sometimes, especially when I think about my children and the world they are inheriting, I can tend to despair and lose hope. Often, it just feels like too much. When I get lost in those moments of hopelessness and fear, it is usually because I have briefly forgotten a vitally important truth: we are living in the middle of the story. As a Christian, I have a very real faith that all will be restored and set right. I hope in Christ and trust that, because of His life, death, and resurrection, evil will be defeated and true justice and mercy will ultimately prevail. This world, these headlines, this darkness surrounding us—it is not the end. We are in the middle of the story. The middle of the story is hard—in real life and in fiction. And that is what I was thinking when I first read Ember Falls, the second book in The Green Ember series by S.D. Smith. Our hero and heroine, siblings Pickett and Heather Longtreader, are in the middle of their story. They have seen many victories, but the ultimate victory—the Mended Wood--still eludes them. War is upon them. They face hardship and wrestle with betrayal. They must decide if they will fight on, despite the seeming hopelessness of their situation, or if they will surrender to the enclosing darkness. It looks, in fact, very much like where we seem to be in our own story, which is why I think that Ember Falls is one of the most important books I have read recently. 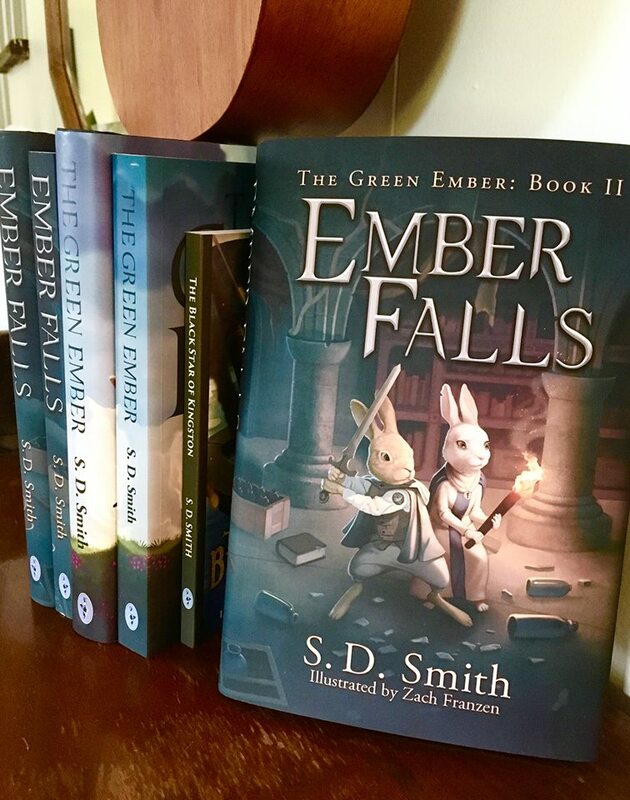 Just like The Green Ember before it, Ember Falls is a story that nourishes the moral imagination and fills the soul with Truth, Goodness, and Beauty. The Green Ember has been called “a new story with an old soul,” and this installment is that as well. It is timeless, but it is also very much a book for our times. In spite of the fact that the main characters are rabbits, Ember Falls is very much a story about what it means to be human. Their struggles, their fears, their hopes, their loves—they all echo the cries of our own hearts in these darkening times. They have the same kinds of choices to make as we have. Some choose sacrifice, loyalty, and courage. Others choose selfishness, betrayal, and alliance with the darkness ravaging the land. The consequences of those choices are very real and very hard. Some wrestle with remorse or forgiveness. Their victories--and their pains--resonate with us and are stored up in the deepest parts of our souls.